Is Zootopia perfect? Of course not. Some of its racial messages are muddled. 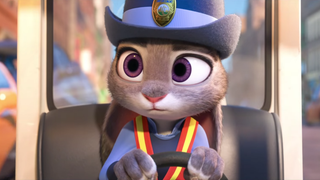 For example, after establishing that being called “cute” in the rabbit community is the equivalent of saying “n—ger (something that rabbits can call one another but other animals can’t), Judy Hopp is casually referred to as “cute” by other animals throughout the film, with no further reflection. Replace that with “n—ger” and you’ve moved from Disney to an episode of Boondocks. But that’s a small price to pay for some conspiracy-level animation that owes more to The Isis Papers and Hidden Colors than it does The Mickey Mouse Club.